The latest collection of dressmaking patterns from New Zealand pattern company Papercut is inspired by Japanese simplicity. Minimal aesthetics and relaxed easy to wear garments make for the perfect capsule wardrobe. Using indigo and white with touches of orange, these pieces will see you through the next 6 months and beyond. See our whole collection of Papercut patterns here. 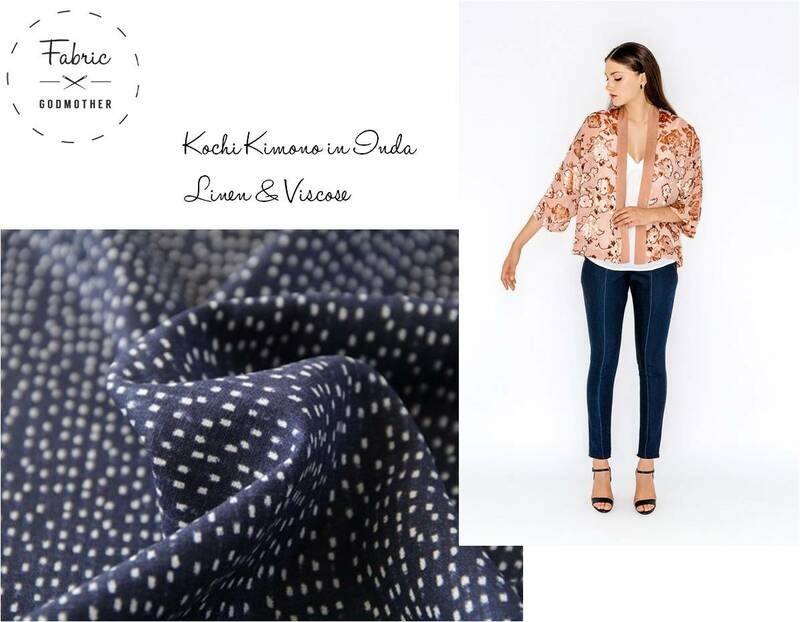 The Kochi Kimono works equally well in a cosy wool to a soft chiffon. I love this soft Linen and viscose mix Inda fabric for a version that is a great transitional seasonal piece. The Mito Cami dress is so simple and perfect to pull on when the temperatures are soaring. 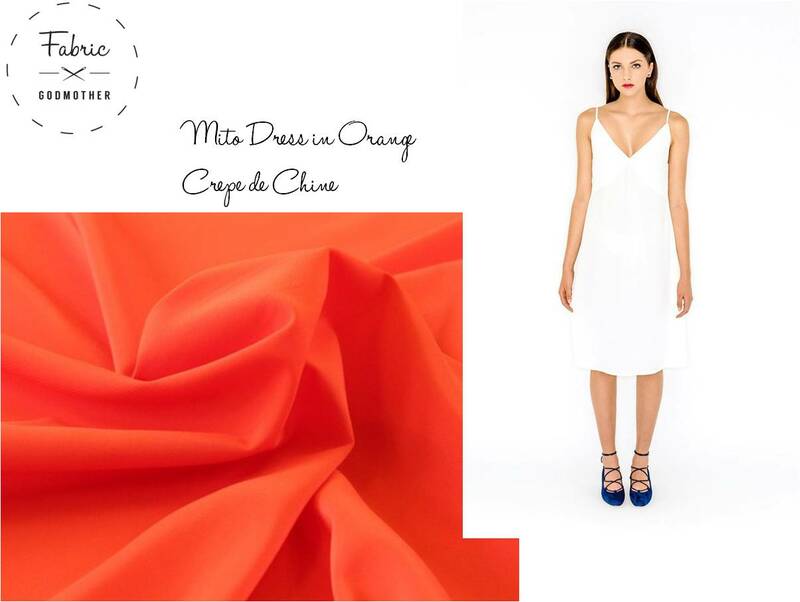 In this bright Orange Crepe de chine it will really pop. It would look stunning paired with the Inda Kimono! 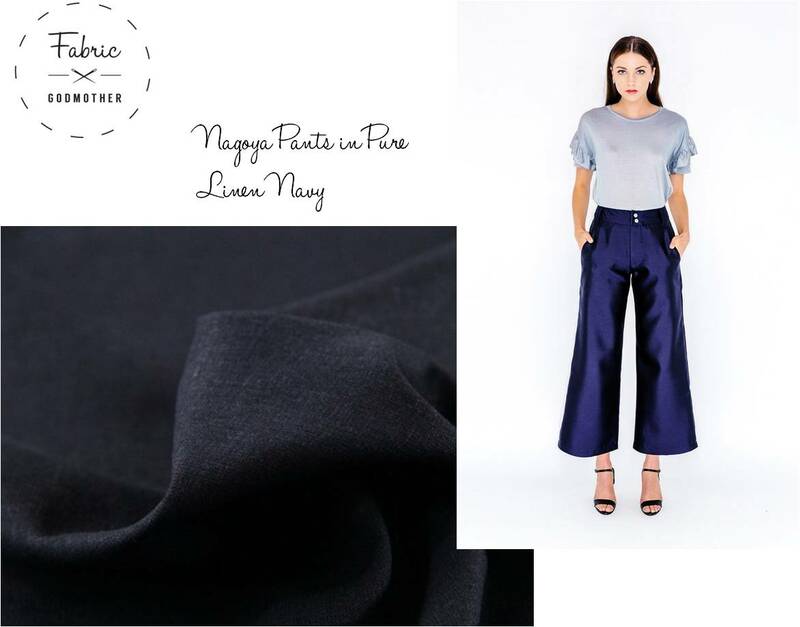 Nagoya pants are cropped with a wide leg and fitted waist, super flattering and very easy to wear. Make them in this Pure Linen in navy for a classic with a twist. 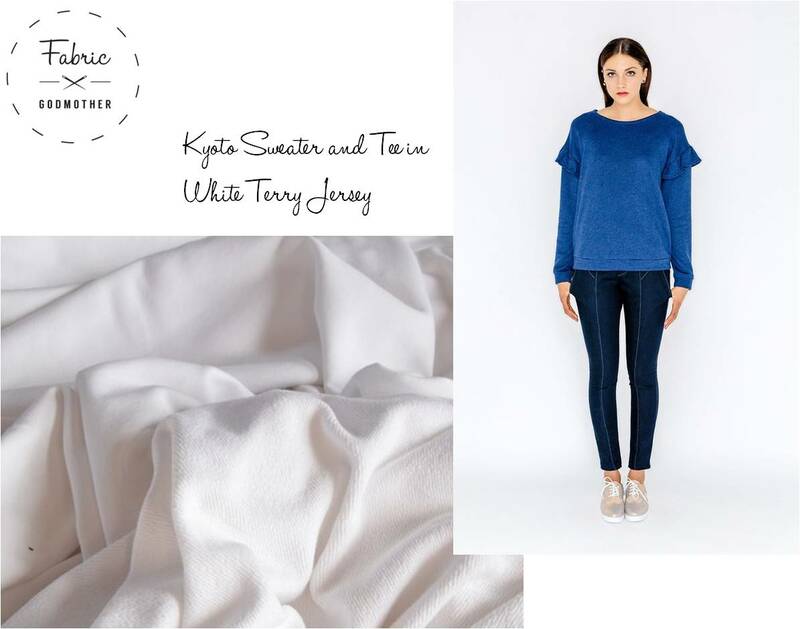 Wear with the white terry Kyoto sweatshirt for casual chic look. 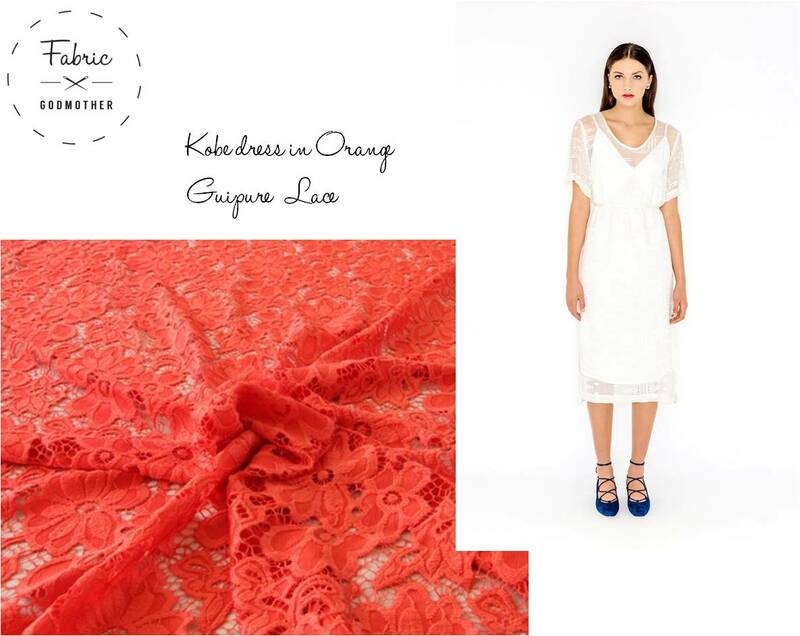 The Kobe Dress made in the Orange Guipure lace would be stunning layered over the Mito dress for a simple elegant evening look, or a swimsuit on the beach for a glamorous cover up. 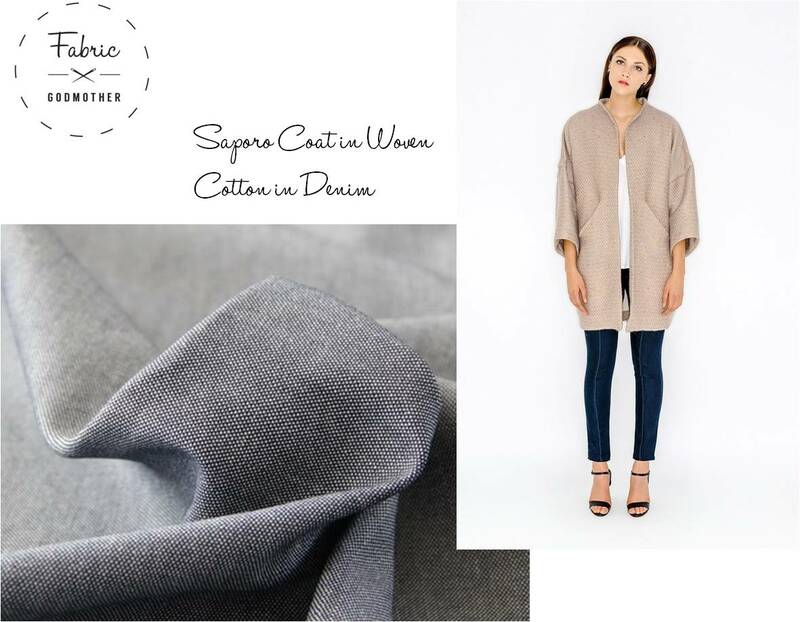 The Sapporo coat can be made in a thick wool or a light weight fabric for warmer weather, I’ve chosen this Indigo Woven cotton, it has body and subtle texture, perfect for a light cover up. Finally, I am so happy when a pattern collection includes accessories, this simple Himeji bag is fully lined and has a neat zip compartment to keep your belongings organised. 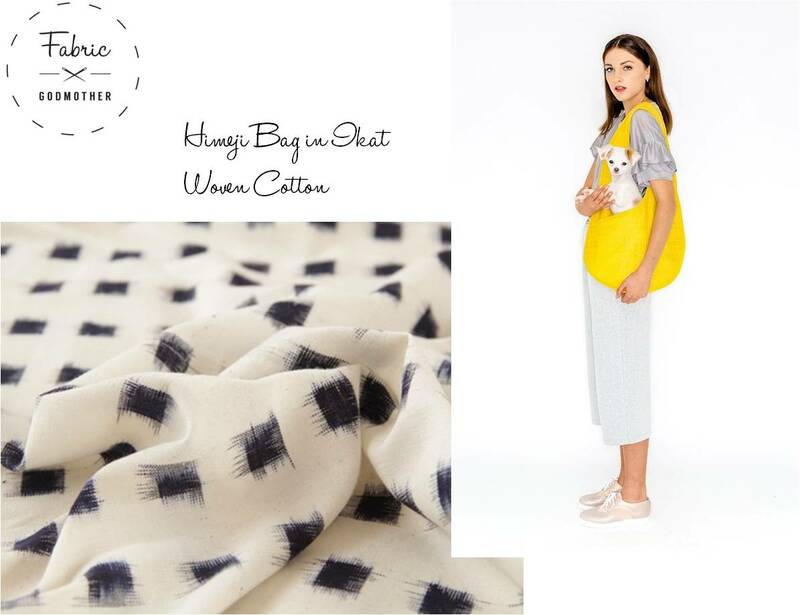 In this Cotton Woven Ikat it will be the perfect accessory to your new Sakura wardrobe.